Radiographs (x-rays) are the most common imaging modality used to diagnose disorders in companion animals. At AVS, we use digital radiography which allows for easier collaboration with your regular veterinarian, radiologists and other referral hospitals. The radiographs can be evaluated by a board certified radiologist as deemed appropriate by your veterinarian. The most common radiographic exam performed includes evaluation of the chest which provides detailed imaging of the heart, lungs and surrounding structures (ribs, etc.). Other common radiographs performed include evaluation of the abdomen and skeletal structure. Our doctors may recommend radiographs to evaluate your pet for coughing, difficulty breathing, vomiting, pain, after a traumatic event and a variety of other reasons! Another use of x-ray in our hospital is the “moving x-ray” or fluoroscopy. Fluoroscopy allows us to view anatomy in real-time for various conditions, including esophageal or gastrointestinal motility disorders. Another common indication is in the evaluation of the respiratory or urinary systems. Computed Tomographic (CT) is available to provide cross sectional imaging of the body. We most commonly use CT for evaluation of the nose, inner ears, chest and abdomen. Common presenting complaints for pets requiring a CT include nose bleeds, development of a mass, coughing, difficulty breathing, or in preparation for surgery. Since our CT scanner obtains images quickly, the anesthesia time is usually brief and the patient can usually return home the same day as the testing. 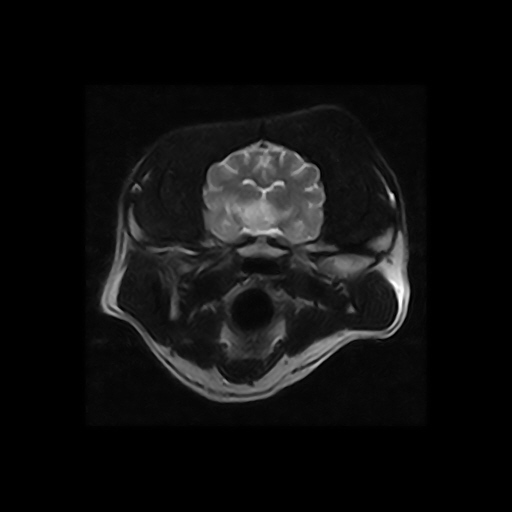 Once we obtain these images, they are submitted to a board certified radiologist for further evaluation. Magnetic Resonance Imaging (MRI) provides high detail anatomic information of the brain. We are able to evaluate organs such as the brain and spinal in pets suffering from conditions like seizures, behavior change, back pain and paralysis. Since our patients need to remain completely still during the MRI, general anesthesia is required for this diagnostic test. Ultrasound imaging, also known as sonography, is a non-invasive procedure used to evaluate the internal organs. This is most commonly used to further evaluate the abdominal organs such as the liver, spleen, kidneys, gastrointestinal tract and adrenal glands. Ultrasound can also be used to evaluate the heart and other soft tissues such as the parathyroid glands. At AVS, an ultrasound is a scheduled procedure performed by a board certified internal medicine specialist or a board certified radiology specialist. If your veterinarian recommends that your pet have an abdominal ultrasound or you feel your pet may need an abdominal ultrasound, we may ask that you do not feed your dog or cat the morning of the procedure. Food in the stomach can make visualization of some of the abdominal organs difficult. When you bring your pet to AVS we will take him or her to our treatment area to prepare for and perform the ultrasound. To prepare your pet for the ultrasound, we will shave the hair from the area that is going to be examined. The ultrasound probe needs to have close contact with the skin to produce images so the hair needs to be removed in the area being examined. Next the patient is placed in position for the ultrasound. For an abdominal ultrasound this means they will need to lie on their back. Since the procedure can take 30-45 minutes, we lay them on their back in a padded trough to increase the comfort of lying in this position for an extended amount of time. Warmed ultrasound gel is applied to the shaved area to ensure close contact of the ultrasound probe and skin which improves the resolution of the images. All the organs are evaluated and pictures or videos are obtained as needed. When the ultrasound is finished, the doctor will discuss the ultrasound results and show pictures or videos when appropriate. Abdominal ultrasound can be used to look at the internal architecture of organs, something that cannot be seen on X-rays. For example, a tumor within the bladder could be seen on ultrasound but would not be able to be seen on X-rays. We can also use the ultrasound to obtain needle aspirates to collect samples of fluid, such as urine, for analysis or samples of tissue, such as the liver or a tumor. Cardiac ultrasound, also known as echocardiography, can be used to further evaluate the function and structure of the heart. There are no risks to performing the ultrasound. Some patients need to be sedated for the procedure and risks of sedating of your pet will be discussed before the procedure.